A successful business is based on a positive team culture, where every member of the company is looking in the same direction. On the flipside, a business can be brought to its knees by a toxic team culture that divides rather than unites. 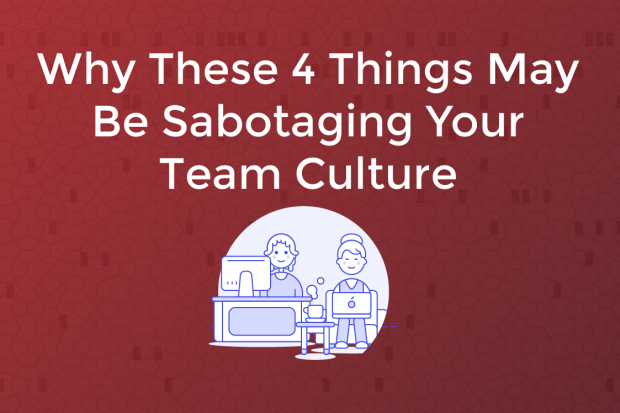 Here are four things that might be sabotaging your company culture today — and how to fix them. The foundation of your team culture is made up of who you hire. When you employ a new recruit, you’re not just adding a new skill set to your team — you’re also introducing new personality traits as well. Your team is made up of people, so you need to make sure that any new members will work seamlessly with your existing team. But your company culture is also about who you’ve already hired as well. If even a single employee doesn’t gel with the rest of their team, it can create blockages and conflict that will not only impact your work, but your culture as well. To avoid this, you should hire personalities, not just experience. While a potential recruit’s skills are certainly an important aspect you should consider, it’s equally crucial that you consider who they are as a person. During interviews, don’t just focus on their past experience. Ask them about their hobbies or their extracurricular activities, simply engaging them in natural conversation to gauge who they are as an individual. It’s also worth reappraising your existing employees to identify any toxic personalities that might be dividing your team. To move forward as a team, everyone has to be moving in the same direction. If someone is pulling away from the pack, then you should take steps to resolving it before it becomes an issue. When a business doesn’t have an open channel of communication, and its direction and internal machinations aren’t publicly disclosed, team members can feel alienated and even paranoid. This can encourage rumours to spread, which in turn can create a highly toxic work culture. The key to a positive team culture is transparency and openness. But true transparency acknowledges both successes and shortcomings. By publicly communicating with employees how their business is developing, managers can create a single line of communication that informs every member of the team. To implement this in your own team, hold regular meetings in which you discuss openly and with candor the direction that your business is heading. And while it’s important to highlight where your employees can do better, it’s equally important that you acknowledge your own mistakes as well. This helps to create a safe, democratic environment in which everyone can speak their mind. As a manager, communication should be your highest priority. If your employees don’t feel like they’re in the know, then the team dynamic will break down, impacting your work culture considerably. Even the most exceptional employees can only manage a finite amount during the working day — some people handle workplace pressure better than others, of course, but everyone has a limit. And beyond productivity limitations, you have unavoidable knowledge or comprehension gaps. If you rate your staff as highly-competent, that’s ideal, but don’t expect them to be polymaths ready for anything you throw at them. As such, if you ask too much of your team — whether pushing them too hard for unrealistic levels of productivity, or tasking them with projects they’re not equipped to handle — it will inevitably lead to employee fatigue and burnout. And the problems might not stop there, because such situations are often exacerbated by the presence of different expectations for different staff members. If an employee is often asked to stay late, but frequently sees their manager heading home early, it can lead to a build-up of resentment and even detachment from their work. As a manager, you will naturally be required to ask members of your team to stay late on occasion — extra hours can be necessary for growing businesses. But regularly expecting this from your employees can have a negative impact on their wellbeing, in turn affecting your team culture. To avoid this, set a rule that prohibits using work devices outside of usual business hours. A mandatory switch-off lets your team separate work and home, giving them some vital downtime. Encourage your employees to tell you if they’re getting overwhelmed. Let people know that there’s no shame in feeling swamped and that they needn’t fear for their jobs, then find ways to help them. If necessary, redistribute projects entirely, or arrange collaboration to take the pressure off. Use automation tools where possible. In ideal circumstances, it would be 100% necessary for every piece of work assigned to your team to be handled manually. Eliminate as much work as possible through using automation tools, whether in your security procedures, your design process, your HR, or your general communication. Provide comprehensive training. Software may be more intuitive than ever before, but the digital learning curve hasn’t been eliminated (forget the myth of the plucky entrepreneur shooting to success courtesy of a simple webstore creator and an afternoon of work). Don’t leave your team members to figure everything out themselves — step in to provide training and make sure they learn correctly. Offer additional workplace perks. To raise morale and relieve fatigue, consider introducing regular workplace massages. These are proven to help reduce stress and improve muscle tension and mental wellbeing, in turn enhancing your team culture. When your business expands, it can be easy to focus purely on its expansion rather than on your team. Between focusing on new clients, finding a new office space, and seeking to rapidly bring overheads down, you can end up leaving your employees by the wayside. When a business expands, managers are often required to hire new recruits in bulk. If time isn’t taken to integrate them sufficiently with existing employees, it can create an us-and-them situation that divides your team. Your employees are the gears that keep your business growing, and it’s important that you spend some time ensuring your team culture is growing along with it. As your business grows, you should pay attention to how your team is evolving. As new employees join your business, it’s vital that you integrate them seamlessly into your existing team. A good way to do this is through team-building exercises that encourage cooperation and participation. Many companies shun the usual forms of team-building in favour of more collaborative exercises, tasks that foster a personal investment in their workplace. For example, instead of clichéd corporate retreats, you could encourage a team project. 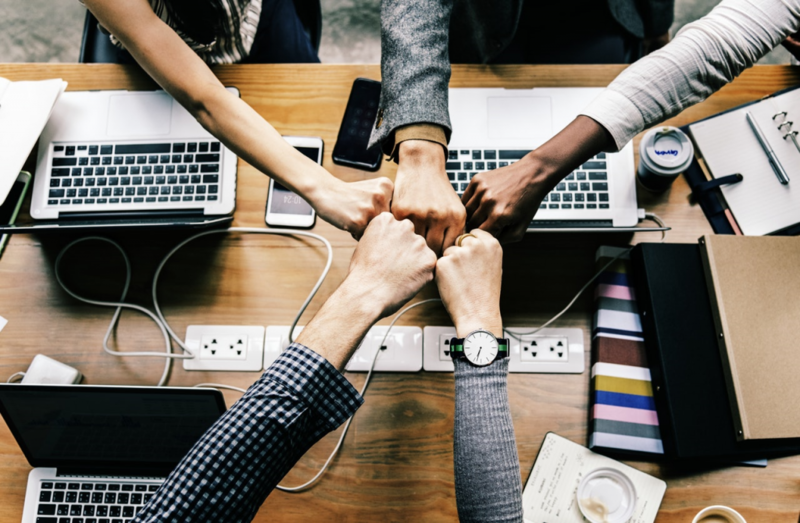 By sharing out the various aspects of the project, you can encourage collaboration in a natural environment that creates a more bonded, positive team culture. Don’t let your business suffer from a negative company culture. Follow the advice above and create a positive, collaborative team that works both for the business — and for each other. Kayleigh Alexandra writes for Micro Startups, your source for everything business. From startups to SMEs, Micro Startups is committed to sharing advice, insights, and industry news to entrepreneurs everywhere. Get micro started today and find us on Twitter @getmicrostarted.